My answer was “no,” but instead of telling them that, I kept the dialogue going by asking a series of questions: What did their audience need to know? What did the audience need to be doing that they were not currently? terms and customize my talk to include what is meaningful to Anthem. up to me after the talk and asked how long I had worked in healthcare. My preparation gave me confidence to ask for the business and answer their objections but is also integral to each talk I give. “Well, I understand how you could feel that way. Other clients of ours felt that way at first too and what they found was...” you can then tell the story of why the product worked for another client. What’s happening here is that you do not agree with their objection, but you are letting them know that you heard it, “I understand how you could feel that way, other clients have felt that way.” Which lets them see that others have felt the same way they do, but ultimately became your client anyway. Because life – and other people – will roll and throw so much at us. Criticism. Doubts. Competition. Difficulties. Deceit. Obstacles take many forms, but inevitably they always appear. As a negotiation keynote speaker I have to remind audiences, that sometimes in isolation, sometimes in a landslide obstacles will appear. Our only option is to take energy from this, to be made better by it. We must learn from the obstacles. We must take consolation in them (if it were easy then anyone could do it, and the goal or good wouldn’;t be worth pursuing). We must gather strength and muscle from each experience. We have to remember: The obstacle is the way. Or rather, obstacles are the way. One of the best ways to get the obstacles to become fuel for your fire is to recap what went right and what went wrong when you lose a sale in order to learn from it. It is key to remember, this should not become a “blame game.” Doctors do this when there are complications in a case or a patient dies, they have a Morbidity & Mortality review with their peers to LEARN, not to blame. analysis of adverse outcomes in patient care, through peer review. The objectives are to identify adverse outcomes associated with medical error, to modify behavior and judgment based on previous experiences, and to prevent repetition of errors leading to complications. I recommend sales teams hosting their own version of this monthly so they don’t repeat previous mistakes. This type of forum may also bring about new solutions or answers to new objections. When objections come up, you must remain calm. When I saved a life when I was a lifeguard, I had to take in every element of the situation to see the best way to save little Sophia; there was no time to panic. It is not dissimilar to being in a pitch when the hard questions start to fly. Your heart rate goes up anticipating the next one or the objections. When you have confidence and have prepared instead of stumbling, you are going to soar. You know that you have the best product and the best team, and ultimately, you are selling yourself and your big reason for doing what you do best. Many people think negotiation is just splitting the difference, but as a negotiation keynote speaker John shows people new tools that go above and beyond the old way of getting a yes. 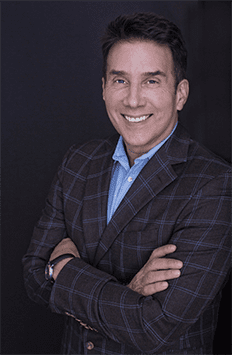 John Livesay is a top rated negotiation keynote speaker that knows that empathy is a key factor to getting people to see you understand their problem better than anyone else. When that happens, people buy from you. They think you have the best solution because you understand their problem better than anyone else. Want to Bring John Livesay a.k.a. "The Pitch WhispererTM" to Your Next Event? Complete the short form below and we'll get in touch with you to discuss your event objectives and how John can help you make your next event the best yet... and equip your people to reach the next level of sales success!